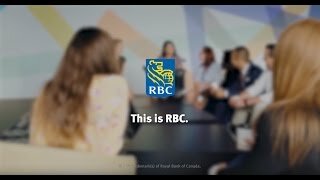 Our RBC Accounting Services team is continuing to grow as we manage our business demands. We are looking for Full-time and Part-time 12 month contract positions in our organization, to work in our Accounts Payable, Vendor Master or Fixed Assets teams. As a Contract Accounting Services Processor, you will be responsible for accurate, timely and complete processing of transactions. You will identify and escalate issues for problem resolution with a continuous improvement mindset, and look for opportunities for process improvements or fixing of service issues. Please Note: When you apply to this opportunity, you are not applying to a specific job, but to an inventory for various full time and/or part time opportunities. The job duties will vary depending on the position you are hired for. Please be advised that the opportunities that come up can be twelve month contract positions. Hours of Work: Accounting Services typically operates between the hours of 8:30am and 4:30pm, however hours of work can be flexible to accommodate individual schedules where the situation and the professionalism of the employee warrants. We also have shifts available starting as early as 6:00am for teams supporting our UK colleagues. Process transactions ensuring timeliness, accuracy and completeness. Ensure all transactions contain valid information for input, identify and follow escalation protocol for those that don't. Participate in the identification and resolution of issues and concerns helping to identify root cause of issues and proposing ideas to resolve. Demonstrate a continuous improvement mindset by proactively identifying, recommending and helping implement solutions. Exercises due diligence in following policy, procedures, standards and guidelines. Willingness and ability to learn quickly, apply your knowledge, and grow within a large organization. Knowledge or experience in Accounts Payable or Fixed Assets Processing, and / or a good working understanding of Vendor statements and invoices. Excellent interpersonal and highly developed communication skills (verbal and written). Good organizational skills and ability to prioritize activities to ensure objectives are met in a rapidpaced and changing environment. Ability to resolve any minor conflicts/issues and escalate to others as appropriate and change management and collaborative mindset. University or College degree in Accounting, Finance or Business, or equivalent experience. Experience reading and understanding vendor invoices and statements. Exposure to Lean Six Sigma or process reengineering. Experience with AP applications such as SAP, Great Plains or Access Accounts and proficiency in Microsoft suite of applications, intermediate to advanced Microsoft Excel.